I have previously written (link here) about the ongoing dispute between Roy Tuccillo and Geisha NYC, LLC (“Geisha NYC”) over the restaurant name “Japonais” (the “JAPONAIS mark”). In short, Geisha first opened its “Japonais” restaurant in Chicago in 2003. However, due to an oversight on the part of Geisha in not seeking to register its trademark with the USPTO right away, Tuccillo was able to file an intent-to-use trademark application in 2004 for the identical JAPONAIS mark before Geisha NYC had the chance to file its own registration application. Tuccillo’s application ultimately registered in March of this year. Tuccillo filed an action against Geisha for trademark infringement, and Geisha came back with counterclaims for cancellation of Tuccillo’s registration as well as trademark infringement. 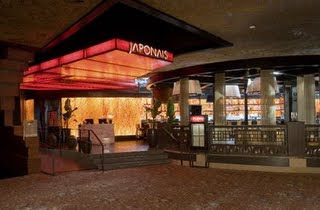 On July 22, 2009, a federal court judge in the Eastern District of New York, in a very comprehensive and detailed opinion (and one that holds back no punches against Tuccillo), granted Geisha’s motion for preliminary injunction to enjoin Tuccillo from using the name “Japonais” in connection with restaurant and lounge services after finding a likelihood of success on the merits of Geisha’s counterclaim to cancel Tuccillo’s trademark registration on the basis of fraud. A copy of the court’s decision can be downloaded here. (HT: Marty Schwimmer). In short, the court found Tuccillo’s evidence and testimony “incredible” (and not in the good way). In particular, the court did not believe Tuccillo’s claims that he was unaware of anyone else using the JAPONAIS mark when he filed his application in June 2004 . The court also found his statements for why he decided to use the word “Japonais” or how he developed the particular stylized lettering in his application completely lacking in credibility – and not helped out by the fact that there was evidence that he had copied and tried to register a different company’s unique logo as well. Moreover, Tuccillo claimed in May 2008 that he had been using the JAPONAIS mark since April 1, 2008, in connection with restaurant and lounge services – a claim that the court found completely undermined the lack of any advertising, the lack of any sales records attributable to the restaurant, the lack of any health department permit, the fact that the telephone number listed on the menus were for Tuccillo’s “frozen food” business, and pictures showing that on March 23, 2009, at a time when the restaurant was purportedly open for lunch, there was a closed sign out on the front door with no employees and no food in sight. All of this evidence paled in comparison to the evidence submitted by Geisha demonstrating the creation and development of the JAPONAIS mark in 2003 in connection with its Chicago restaurant, the subsequent opening of restaurants in New York City and Las Vegas in 2006, and Geisha's expert witness testimony that Tuccillo could not have created the JAPONAIS mark in the manner in which he stated he did. In sum, the court agreed that the evidence supported the argument that Tuccillo submitted the trademark registration application for the identical JAPONAIS mark created by Geisha in a bad faith effort to “squat” on the mark in order to capitalize on Geisha’s failure to register the mark. And thus, Geisha demonstrated a likelihood of success on its counterclaims for cancellation of Tuccillo’s registration of the JAPONAIS mark based on Tuccillo’s false statements to the USPTO claiming to be the senior user of the mark.